Thank you for signing up to our mailing list. If you feel that Solar Gardens are creating value then please consider subscribing to a garden near you, or donating via the links to your right. I just signed up for your mailing list but I encountered a problem. You request that I indicate what state I’m from but you did not have an option for the District of Columbia. I hope to enroll others in this community in our local effort to promote community solar and Solar Gardens would be one resource I’d like to point them to. Will you please update you mailing list interface to allow for DC to be noted so that you have complete and correct information on your potential subscribers from here (I defaulted to ‘Washington’ state). Interested in starting a solar-garden in my community and found the solargarden blog to be a great resource. Will hopefully be in contact soon in regards to questions concerning starting a solar garden project in the Steamboat Springs area community. Thanks for resources, hope to be in touch soon. WE would like to receive training to understand the economics, financing, planning, design, construction and operation issues related to solar gardens in Michigan and other states. Curt, we’d like to see solar gardens in all 50 states, the District of Columbia, the Virgin Islands, and Puerto Rico. Not to mention the rest of the world. Let’s work to pass a solar gardens law in Michigan! Yes, I would be interested in subscribing to a garden near me. Please give me the information I need to do so. I live at Heartwood Cohousing near Durango (www.heartwoodcohousing.com). We have considered having a large PV array to serve much of our community’s electrical needs, but couldn’t make it work economically. Do you know of any possible source of a grant for a community such as ours (24 homes, 70 people) that might be able to help? PS: Our electrical distribution coop, LaPlata Electric Association, has used your website as a source of information about VNM, as have I. Since they are small, they don’t have to accept VNM, but are in the process of considering it. I appreciate your organization’s help! 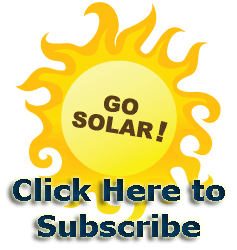 I would like to believe that signing up will produce an email delivery of your blog updates: It appears you are on top of things and that sometimes you are the first to report solar industry news–particularly news that affects Colorado. is there any reason why I can not coop a small wind project? I signed up for your mailing list, but since I don´t live in the U.S. I put California which is the state closest to were I live (Ensenada, Mexico). I hope there isn´t a problem. We are a small public hs ecology club who fund raised for three panels with Sunshare in the first COlorado SPrings solar garden. We are presenting to the BOE to go 100% solar in a garden with Sunshare. Our Admin is very reluctant and a EPA grant requires 25% commitment funding. Help, suggestions, grant writing support?